You Are Here: Home > What are the Benefits of Buying Used at Findlay Toyota? What are the Benefits of Buying Used at Findlay Toyota? There are numerous benefits to buying used vehicles in the Las Vegas area, the most obvious being you get a high-quality vehicle at a lower cost. 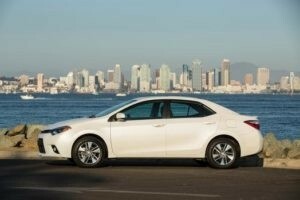 However, you may not be aware of the many nuanced reasons why a used Toyota car could be right for you. Here’s a handful of benefits for buying used in Henderson. Lower Cost and Less Depreciation: Of course, a used car is going to be much cheaper than a new vehicle. Moreover, you also don’t have to worry about the car’s value rapidly depreciating. While new cars lose value the moment you drive them off the lot, your used vehicle has already undergone most of its lowering in value as these occur during the first year or two. No New Cars Sales Tax: If you’re worried about the higher sales tax associated with buying a new vehicle, worry no more when buying used. If you want to skim a bit more off the price tag, rest assured that this can help you save some more money. Pay Less for Add-Ons: By buying used, you can also avoid paying for add-ons as whatever add-ons you receive will already be included into the price of the used vehicle. Great Condition: One hesitation when buying used is that the vehicle may not be in as good as condition as a new vehicle. While our new vehicles are indeed excellent and affordable, you don’t have to worry about scratches, dents, or mechanical malfunctions in our used inventory. In fact, we pride ourselves on only selling used vehicles that are “like new” and that will last you for years to come. Don’t wait to determine what you can get away with paying. Instead, use our trusty payment calculator to estimate your probable monthly payment. You can also check out your financing options from the comfort of your couch.